A paralegal bachelor degree program prepares students for the professional skills required to work efficiently and ethically in the legal community. Graduates with this degree usually work as paralegals or legal assistants. The program consists of both an academic curriculum and practical hands on training A typical program includes an internship in the field as well, to provide some practical experience to students after they have completed the coursework. Hence the curriculum enables students to understand and carry out legal theories ethically in the workplace. While an associate’s degree may be sufficient to pursue a career as a legal assistant, the education level that may enable professionals to excel in the field is a bachelor’s degree in paralegal studies. The bachelor degree makes applicants stand out among other candidates in the job market. Best paralegal bachelor’s programs provide work experience to students. Thus, when searching for a paralegal program, candidates should ensure that the programs incorporate an internship or a practicum. While enrolling into the program, candidates should also make sure that the degree is accredited by either the American Bar Association (ABA) or the American Association for Paralegal Education (AAPE). What kinds of bachelor’s degrees can I earn? Enter the challenging world of law by getting a paralegal bachelor’s degree. While the two degrees are similar, there are some differences. The BA degree offers more courses in liberal arts. The BS degree, on the other hand, includes more courses in science and mathematics, hence preparing students in legal research methods. Both degrees are suitable for paralegal work. Can I earn my bachelor’s degree online? Students who wish to enroll in online programs should ensure that the programs offer an internship experience. Internship is a valuable part of the program because it helps to put the theoretical knowledge gained online into a practical environment. Please note that the above mentioned curriculum is usual for many schools, but may vary with different programs. What kinds of jobs can I get with a paralegal bachelor degree? The bachelor’s degree program is the most common route for entry-level job as a paralegal. The program prepares candidates for career opportunities in government agencies, court systems and offices, corporate law departments, and law firms. As law firms aim to improve efficiency and reduce their expenses, it is expected that they would hire more paralegals in future. Hence employment of paralegals is expected to increase by 17% in future, faster than the average for all occupations. This estimation is according to the Bureau of Labor Statistics (BLS). Q:What type of jobs are offered to graduates in Paralegal studies? A:Students with Paralegal Degrees can secure various jobs in the following areas, Government Departments, Private Law Firms, Accountancy Firms and Banking Legal Departments Your salary is based on your degree level and your expertise in this field. Q:What courses are studied in Bachelor of Science in paralegal studies online degree? A:The courses curriculum of a Bachelor of Science degree in Paralegal studies comprises of various study areas. Some important areas that students study throughout the degree program are: introduction to paralegal studies, legal research and writing, civil practice and procedures, social science, real property law, information and technology, fundamentals of speech, dispute resolution, law office administration and management, and constitutional law. Q:What is taught in the course on Criminal Law in the BA Paralegal Cincinnati programs? A:The BA Paralegal Cincinnati programs have dedicated course on Criminal Law. This course is worth 4 credits in total. It is intended at making the students understand the procedures of implementing Criminal Law in the United States and internationally. Students are also taught the various means by which conviction can take place. Q:What are the contents of the course on Policing in the BA Paralegal studies in New Jersey? A:The BA Paralegal Studies in New Jersey have dedicated course on Policing. This course is designed to offer the students with ample understanding of the responsibilities of police officers. Students are also trained on how the entire police department is run in a state or county, etc. The course is worth 4 credits. Q:What are the contents of the course on English Composition in the Bachelors degree for a Paralegal in Houston? A:The Bachelors degree for a Paralegal in Houston usually does have an introductory level course on English Composition. This course is worth 3 credits in total and is intended at making the students understand the different concepts of everyday English. Students are also taught on how to effectively red, write and comprehend English. Q:Searching for Bachelors of Applied Science paralegal Indianapolis mentioned distance learning programs. What are the benefits of enrolling in one of these programs? A:Distance learning programs would be mentioned when searching for Bachelors of Applied Science Paralegal studies in Indianapolis. Online educational programs are specifically designed to facilitate students already employed. These programs allow students to study at their own pace which helps them in understanding the subject thoroughly. Online education is comparatively cheaper with students saving money on travel and accommodation. Students interested in these programs are advised to search our website for more information. Q:Searching for best colleges for paralegal in Edmonton mentioned a course in intellectual property. What is included in this course? A:Course on intellectual property would be mentioned when searching for best colleges for paralegal in Edmonton. This course is worth 3 credit hours and deals with an overview of intellectual property and theft. Students will learn about legislative solutions, challenges in protecting intellectual property and investigation procedure. Students interested in this course are advised to search our website for more information. Q:The best colleges in Toronto for online paralegal studies mentioned a course in forensic psychology. What is included in this course? A:The best colleges in Toronto for online paralegal studies would mention a course in forensic psychology. This course is worth 3 credit hours and deals with psychological aspects involved in legal proceedings. Students also learn about psychological study and its application in the field. Prospective students interested in this course are advised to search our website for more information. Q:What are some of the best colleges in Vancouver BC for paralegal studies? A:You will not be able to find any information about the best colleges in Vancouver BC for paralegal studies on this website. This website provides educational information and advice to students in the United States. However, our website has a wide selection of online institutions and programs that are designed to help students with their education. Students interested in online programs are recommended to search our website for an extensive list of institutions. Q:Do bachelor paralegal programs focus on skill development? A:A bachelor degree in paralegal studies will provide students with all kinds of legal knowledge and skill. Students acquire information about subjects such as paralegal writing, legal terminology, justice administration, and American history. On the other hand, the program also emphasizes on communication skill development, business writing skills, analysis skills, decision-making skills, and critical thinking skills. Q:How long are the paralegal bachelor programs? A:Like many other bachelor programs, paralegal bachelor programs also last for four years. A bachelor in paralegal is a comprehensive program that focuses on giving you the necessary knowledge regarding law, justice system, legal ethics and law research fundamentals. 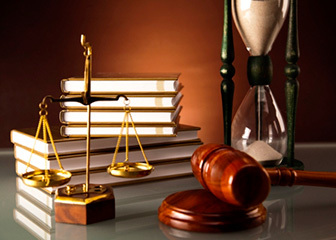 You also have to know the law jargon to work in the practical field which you can learn about in this degree program. Q:How is the coursework of a bachelors in paralegal online degree completed? A:Students who have enrolled in a online paralegal degree will have to cover a wide range of subjects. The curriculum entails many theoretical subjects that can be studied online easily. Video lectures, notes, conference classes, and one on one sessions help students learn online conveniently. Online paralegal programs have the same curriculum of campus based programs. Q:After successfully completing a Bachelor in Paralegal, what can I do with this qualification? A:With paralegal education at bachelor level, you can work as a legal assistant or a paralegal in a renowned law firm. You may need to get a certification or a license, depending upon which state you live in. The demand for paralegals is high due to the growing legal industry. Many lawyers and attorneys seek the services of legal assistants who can manage office tasks as well as legal tasks. Q:How do I enroll successfully in a paralegal bachelor degree? A:To enroll in a paralegal bachelor degree, you must compete the admission requirements of the institute. These requirements may vary a little from school to school. At most schools, you will be required to submit an official high school diploma transcript, a letter of recommendation, and maintain a satisfactory CGPA score. Take a look at our page for more information.